Hello everyone, thanks for reading my first blogpost for Spindle. 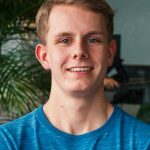 My name is Jurre Nagel, and I am currently a MarCom intern at Spindle. I am in my second year of a three-year education in Application and Media Development level 4 (middle-management training) at the ROC Friese Poort in Emmeloord. In this blogpost, I’ll share my experiences as an intern with you. ROC Friese Poort is an MBO school (MBO stands for secondary vocational education). I am in fact the first MBO-intern at Spindle ever. This meant Spindle had to be certified by the SBB, an organization that determines if a company is suited for MBO-interns. My study has many subjects ranging from programming to media and design. Therefore, MarCom is a great place for me to start experiencing what it’s like working a fulltime job. The MarCom team is responsible for coming up with marketing strategies and campaigns for Spindle and all its brands. The team is multi-skilled, meaning that it’s also responsible for creating marketing materials for those campaigns, for example websites, photos and videos, content, merchandise, sponsorships, etc. The team likes to keep everything in-house but also works with third parties from time to time. The first time I visited Spindle (back at the old office in The Big Building), I immediately noticed the productive and creative atmosphere. I later learned that this has a lot to do with the way Spindle works. Work within Spindle is based on Holacracy. Holacracy is a way of structuring an organization that replaces conventional management, it distributes power by giving everyone equal value. This means no bosses or managers. Thanks to this, it is not only easier to share resources, but it also drives the creative process. For me, working within a Holacratic company is a great and refreshing experience. I have the feeling it gives me more freedom to say what I need help with thanks to the meeting-structure. This structure makes fair decision-making easier because everyone gets a chance to talk. I’ve also learned a lot about how to work in a team. At school, we mostly work on our own projects and assignments. Experiencing meetings and seeing how teams communicate with each other has been a valuable experience. Working together adds a lot of new insights and knowledge that I plan to integrate into future school projects. The Vialer project was a great way to put my newly acquired skills into practice. The goal of the project was to make it easier for content creators to maintain the newly designed website. I did this by integrating the website with WordPress and by using the plugin Advanced Custom Fields (ACF). ACF is a plugin that makes it easier to edit content. You can do this by making a custom field for a page. In that custom field, you can enter all sorts of content like text or videos. Then all you have to do is link the custom field to a section in your website’s code with PHP. Thanks to ACF, all content is editable within the WordPress dashboard. After going through everything that needed to happen with my supervisor, I wrote a To-Do list with the highest priorities on top and went to work. Every time I finished an important set of items, I would review the completed work with my supervisor and make changes if necessary. At first, having an internship took some getting used to. I wasn’t used to working 40 hours a week and, to add to that, I live far away from Groningen and have to travel quite a bit before I reach the office. But after about two weeks I began to get used to my new schedule. People are very helpful here. 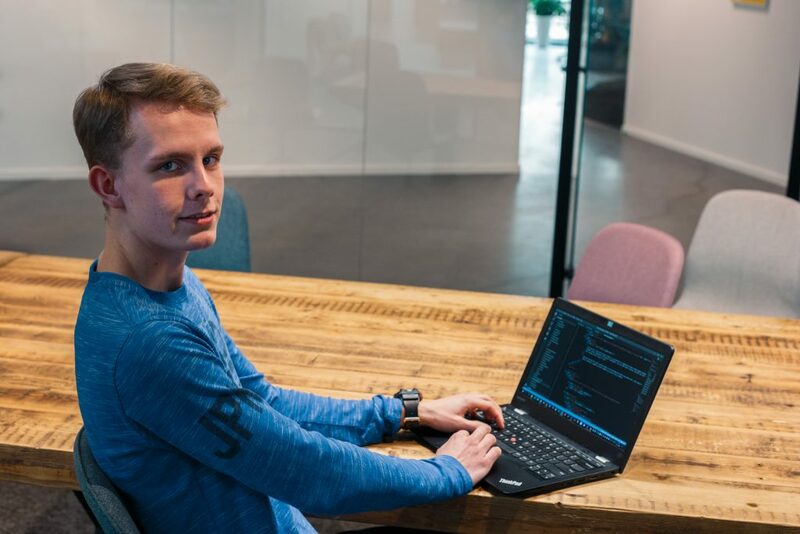 If you want to learn a new programming language, learn how the development process at Spindle works, or get help with a bug that you don’t understand, you can always ask. There’s always room to make mistakes and you will get as much time as you need to try and fix the problem. The courses offered me a lot of help to expand my knowledge and find a project to suit my current skills. There are a lot of things I’ve learned that I intend to use when I go back to school. The meeting structure and way of working is something I would like to use in future school projects. At Spindle, everybody writes an annual ambition plan. Here I wrote down the usual things, like keeping my school reports up-to-date, getting involved with the organization, and expanding my knowledge. Other than those things, my plan is to explore which direction I want to go for my future education!